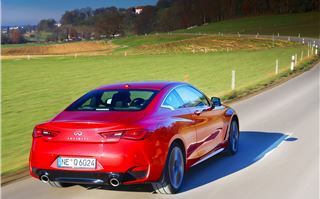 The new Infiniti Q60 coupe is pitched squarely against the BMW 4-Series, Audi A5, Mercedes Benz C and E Class coupes and the Lexus RC. Ambitious for a company that has sold a mere 3,000 cars in the UK in 2016. But things are looking up. Infiniti sales are 175% higher than in 2015, there are now 12 dedicated Infiniti Centres in the UK and four additional authorised service centres and repairers. Those numbers are set to rise to 20 and 9 respectively over the next few years. 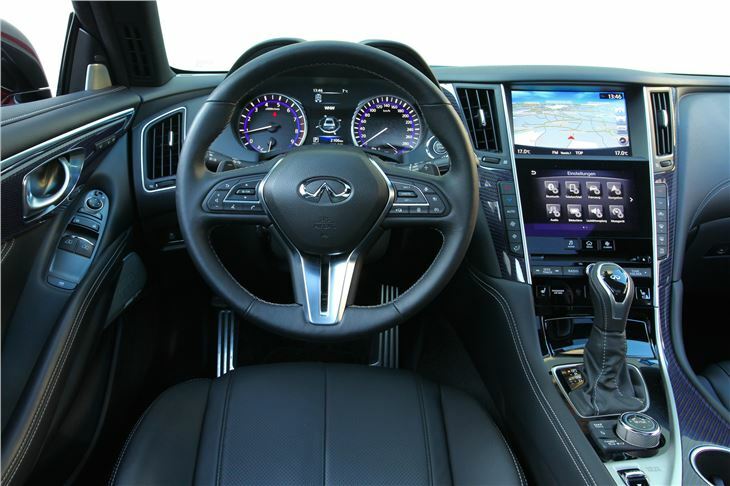 And, fortunately, the Q60 is actually quite a good car. 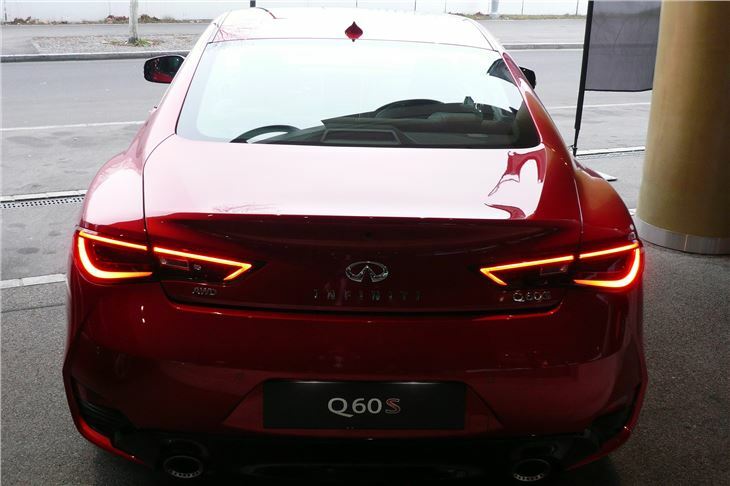 It’s unquestionably handsome, with Infiniti’s trademark ‘double arch’ grille, ‘human eye’ headlights, ‘crescent-cut’ C-pillar and organic muscularity that came from months of working the body shape in clay rather than simply using CAD. There are two engines: a chain cam 211PS 2.0 litre turbo four cylinder petrol borrowed from Mercedes, and Infiniti’s own new lightweight 405PS 3.0 litre twin-turbo manifold-in-head V6. All come attached to a 7-speed torque converter automatic transmission with two-wheel drive for the 2.0 litre and all wheel drive for the 3.0V6. On top of that there are some new technologies, not shared by all the models in the range, but either standard or optional on some of them. 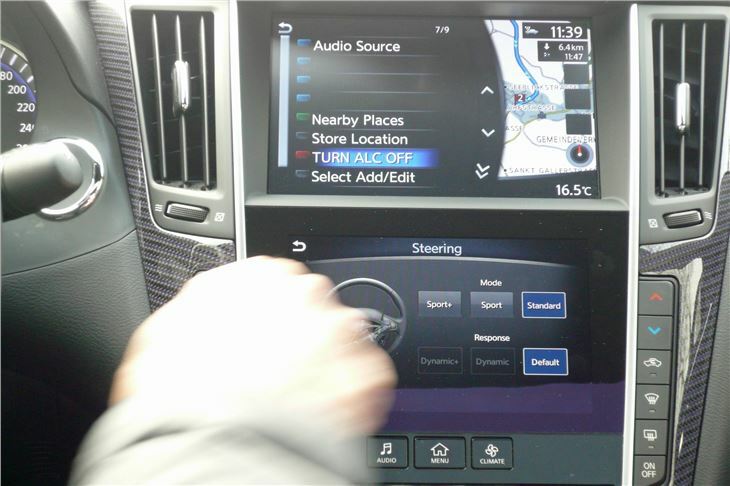 One is ‘Direct Adaptive Steering’ that retains a physical link between the steering wheel and the steering rack, but electronically takes over in a number of programmable ways and brings the car close to the ‘autonomous drive’ that all high-end manufacturers are striving for. It offers seven modes: standard default, sport default, sport dynamic, sport dynamic +, sport + dynamic and sport + dynamic +. These are combined with engine, digital suspension, active lane control and active trace control into seven basic driving modes: personal, sport +, sport, standard, eco and snow, so selecting is simple via a column toggle switch. 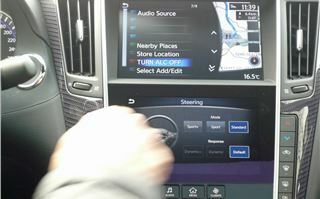 But if you want, for example, sport or sport + with standard, more relaxed gearchanges, you can adapt any mode with your own personal settings, theoretically giving a choice of 336 different modes. 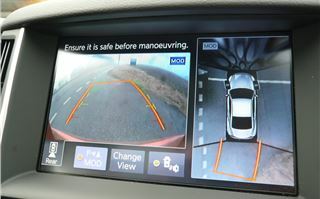 As well as that, all models come with excellent satnav as standard on a reasonably high screen and the option to engage autonomous braking that will first warn you, then bring the car to a stop if its camera systems detect that you are about to hit a pedestrian or another vehicle. This may seem mind-blowingly complicated and unnecessary, but in the cars it all works together pleasantly well. Steering is not a feel-free zone. Even though the feel is artificial, it’s always nicely weighted. The 405PS 3.0V6 obviously has bags of power, as well as maximum torque from just 1,600rpm, but, with four wheel drive, it doesn’t overtake its tyres so you can corner quickly as well as safely. 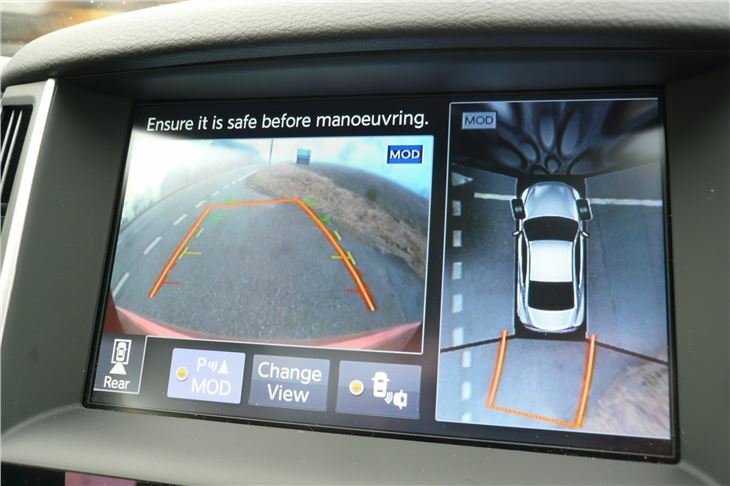 The camera system looks all around the car: front, rear and sides to warn you of any imminent hazard. Active Lane Control can be engaged to keep the car between the lane markings of a motorway or dual carriageway allowing the driver to relax. 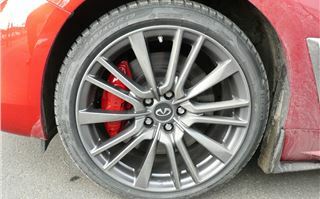 The digital suspension irons out uneven road surfaces, even on the car’s 19-inch wheels with 40 profile tyres, making the ride remarkably smooth and stress-free, but still leaving the driver with an excellent sense of control. 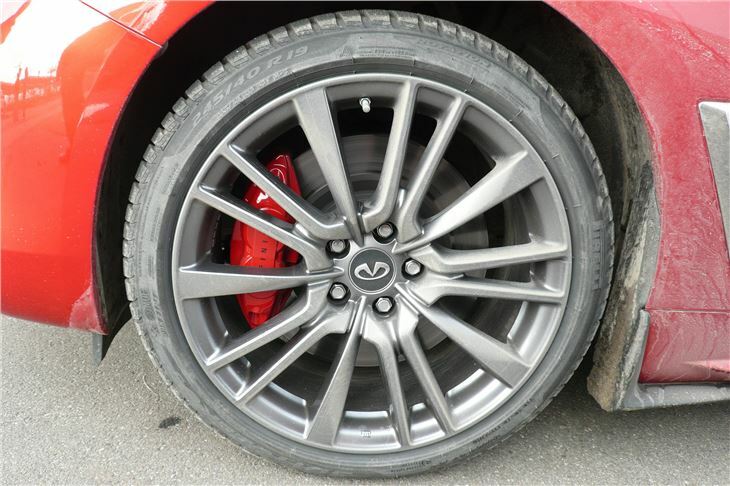 Its high performance Pirelli Sotto Zero runflats may have helped a little here. 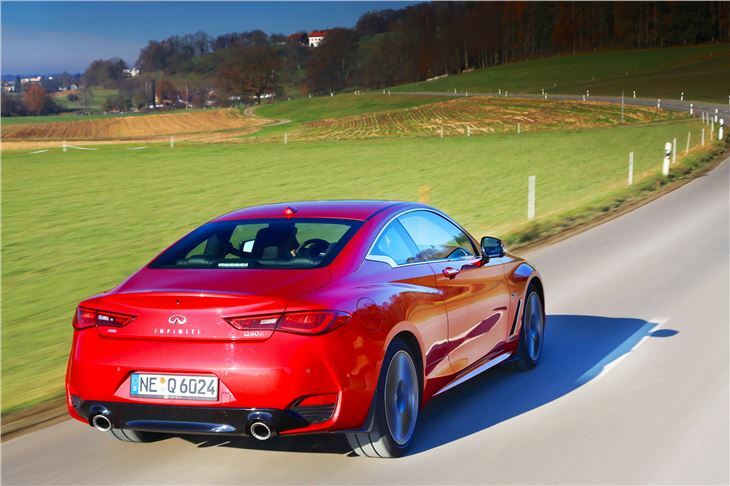 Despite 405PS and 475Nm torque, the Infiniti Q60 is no sports car. It isn’t designed to be. And the 2.0 litre 211PS four-cylinder car is even less of one. Without ‘Direct Adaptive Steering’, without digital suspension and with power to the rear wheels only, it’s still very pleasant, communicative and relaxing drive with nicely weighted steering and the same excellent multi-adjustable seats. There is reasonable legroom in the back for rear seat passengers, but they’ll find themselves short of headroom. The rear seatbacks fold, extending the 342 litre trunk, but it’s quite narrow at just 780mm between the wheelarches even though there’s 1,270mm behind the wheelarches for golf clubs, etc. Three slightly dated features of all Q60s are a foot operated parking brake (okay), a dial faced speedo (prefer digital) and a counter intuitive manual over-ride for the auto. 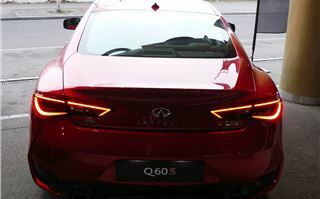 Nevertheless, anyone disappointed with the driving experience of a BMW 4-Series, Mercedes Coupe, Audi A5 or Lexus RC may well find the combination they are looking for in an Infiniti Q60.